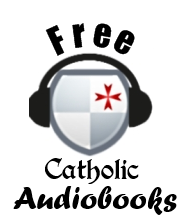 This post is the 1000th article published to the Unam Sanctam Catholicam blog. Although, if you count the 497 articles on the Unam Sanctam sister site, really we blew 1000 away a long time ago. Therefore, although the 1000th post of my rambling is really nothing too celebratory, I did want to post something important on this occasion. While the world of Christendom consisted in unity and harmony, the prime characteristic of modernity is disharmony, discord and isolation across every dimension of human existence. This is true philosophically and theologically as well as socially and politically. Some time ago I posited the theory that the greatest problem in the life of the Catholic Church was the unfortunate fracture between theology and ascesis, between spirituality and mortification. As I have reflected on this over the past year, I see that this great divorce in the realm of praxis is mirrored by a similar disharmony in the realm of theory: that of the relationship between love and truth. While what we see in the relationship of theology and ascesis is one of fracture or division, what we see in the relationship of love and truth is not so much a divorce as much as an inversion; an inversion, however, that leads truth to be relativized at the expense of love and hence ultimately ends up divorcing truth from love as its logical conclusion. Most Catholic prelates and theologians do not call for love and truth to be sundered, of course. But they do invert their relationship, which leads to all sorts of mischief. In fact, the heart of the Kasperite heresy consists in nothing other than an inversion of the relation between love and truth. In the classical tradition, our love proceeds from our knowledge. The classical dictum, attributed to Augustine but with precedents in Aristotle and Plato, is "You can't love what you don't know." The intellectual act by which we know truth precedes the act of the will by which we love it. This is why Aristotle defines the fundamental characteristic of human nature as a desire and capability for knowledge, not for loving (Meta. I.1). The problem with inverting this relationship is it tends towards a definition of a Christian, not primarily as someone who affirms or believes a certain truth, but as one who loves. "He that loves his brother, abides in the light, and there is no scandal in him" (1 John 2:10). "And now these three remain: faith, hope and love. But the greatest of these is love" (1 Cor. 13:13). "God is love, and whoever abides in love abides in God, and God abides in him" (1 John 4:16). "But I say unto you, Love your enemies, bless them that curse you, do good to them that hate you, and pray for them which spitefully use you" (Matt. 5:44). From beginning to end, love is supposed to characterize the Christian life. The aim of this reflection is not to deny that love is central to our faith, or that we are not called to love; God forbid! Rather, we are looking at love in its relation to truth. The problem is that - as we have seen with concepts such as "peace", "contention" and "unity" - there is a tendency to understand the concept of love apart from the content of what is loved. In the classical tradition, reason is the highest faculty of man; it is that distinctive characteristic of human nature by which we are said to be made in God's image and what makes us specifically human. We act "according to our nature" when we act by that which is distinctly human; i.e, when we act in harmony with reason. Reason is that faculty by which we apprehend the truth about things, and through which we discern the good - that which is desirable. The will proceeds from reason. By reason we apprehend the good and by the will we move ourselves to its attainment; when we do this, it is an act of the rational will. Willing the good of someone or something is to love it. Before we can love something, we must perceive it as a good and will the good of it. Chronologically speaking, the intellectual act and the act of willing may occur simultaneously; I perceive my daughter as a "good" and hence love her in a single act of affection. But in logical order, the act of knowing always precedes the act of loving. Where do morals fit into this equation? Ultimately, we are only moral beings because we are rational; that is, because we are capable of making rational decisions, our actions are ennobled by a moral quality. A baby that pokes me in the eye does so innocently because he "doesn't know better"; a full grown man with full use of reason who jabs his finger in my eye on purpose better watch out, because he does know better. The use of reason endows actions with moral qualities. In other words, the source of morality is in our reason. This is why St. Anselm says "Fides quarens intellectum", not "Amor quarens intellectum". The end of the life of faith is the knowledge of God. From this knowledge of God, love of God proceeds, since the supreme goodness of God, once apprehended, draws the will in love. 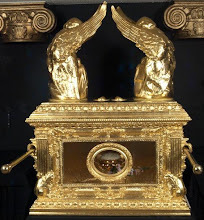 This is also why those in heaven can no longer sin; the intellect sees God's essence in the Beatific Vision, and this vision subsequently draws the will with such perfection that it comes to rest in the summum bonum and no longer desires to roam. A Christian, first and foremost, is one who believes in the Lord Jesus Christ; This is why the Book of Acts and the New Testament refers to Christians as "the believers" and not "the lovers." Knowledge of the truth is what begets love. But Christian love is not the same as "love" understood in the common, worldly sense. Love, or caritas, is one of the three theological virtues. It is a gift from God. In logical order faith comes initially, which begets hope, and a lively hope in God establishes caritas (see Josef Pieper's, little work Faith, Hope, Love for a great synopsis of the relation of the virtues, as well as Garrigou-Lagrange's essay "The Three Theological Virtues"). As a result, the classical view could never oppose loving our neighbor to the truths of faith. As a virtue, caritas proceeds from faith and hope and perfects them. It is love, but love in the truth, Caritas in Veritate, as Benedict XVI famously noted in his encyclical of the same name. Love is above all love of God, who is love, but who is also truth. 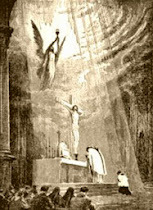 "Your word is truth" (John 17:17), in which our Lord prayed that the Church should be sanctified. Such heresies as the Kasperite doctrine are only possible when love has been either detached from truth (qua secularists) or its relation to truth inverted (liberal theologians). "I am aware of the ways in which charity has been and continues to be misconstrued and emptied of meaning, with the consequent risk of being misinterpreted, detached from ethical living and, in any event, undervalued. In the social, juridical, cultural, political and economic fields — the contexts, in other words, that are most exposed to this danger — it is easily dismissed as irrelevant for interpreting and giving direction to moral responsibility" (Caritas in Veritate, 2). A fair warning from the Pope Emeritus. However, it is ironic that Ratzinger himself has not always been free from questionable propositions about the relationship between love and truth. If we dig back into Ratzinger's early years, we see that while Ratzinger has always asserted the profound connection between love and truth, it seems that he (at least in the past) has tended to invert their relationship - love, not truth, takes precedence. This involves a re-prioritizing of will over intellect, with profound consequences. 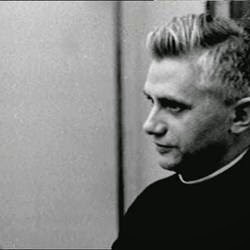 Let us look at young Ratzinger to see this inversion we speak of. This will help us trace out the theological framework from which the Kasperite heresy flows. The following comments are taken from Ratzinger's essay "What It Means To Be a Christian" from 1965, which was originally a series of sermons delivered in Münster; the essay was republished in Ignatius Press's Credo for Today (2009). 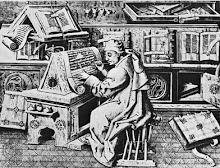 Quotes from the essay are taken from the Ignatius book. The point of the essay is to narrow down, fundamentally, what it means to be a Christian. How is a Christian defined? Ratzinger begins his query by examining the parable of the sheep and the goats from the Gospel of Matthew, wherein our Lord says, "Whatsoever you do unto the least of my brethren, that you do unto me" (Matt. 25:40). One wonders why Ratzinger takes this parable as the starting point of his inquiry, rather than the traditional teaching that a Christian is one who is has received baptism; "For as many of you as have been baptized into Christ have put on Christ" (Gal. 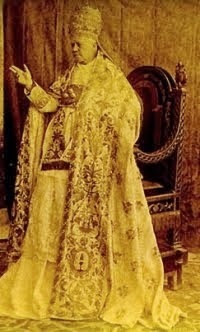 3:27) - baptism, of course, being the sacrament of faith. "In this parable, the Judge does not ask what kind of theory a person has held about God and the world. He is not asking about a confession of dogma, [but] solely about love. That is enough and it saves a man. Whoever loves is a Christian" (Credo for Today, 9). It is noteworthy here that at the very outset Ratzinger sets up an opposition between love and dogma. It is "solely" love that matters to God; love alone is "enough and it saves man." A Christian is defined simply, not as one who believes Christ is Lord, or who has been sealed in baptism, but as one who loves. Surely Ratzinger cannot mean this without qualification? Surely we must make a distinction between natural love and the supernatural virtue of love, between love simplex and love in the truth, etc? Surely a Christian cannot be simply, one who loves, right? 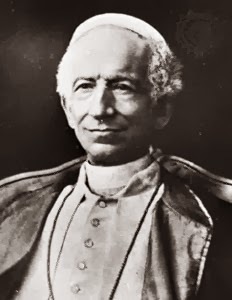 "However great the temptation may be for theologians to quibble about the statement, to provide it with ifs and buts, notwithstanding: we may and should accept it in all its sublimity and simplicity, quite unconditionally - just as the Lord posited it" (ibid., 9). Now, to be fair, it could be said that what Ratzinger says is entirely true if we are understanding love within the traditional Catholic context, with the whole tradition we have enumerated above. It could be in this sense that Ratzinger means love, without any distinction, is what saves us. He could simply be saying what our Lord does - that we are called to love without being loved in return. But if so, why does Ratzinger go out of his way to insist that this be understood simply, without any "ifs and buts" and without any conditions? "Being a Christians means having love" (pg. 11). If we were taking a classical approach, this would be the moment to explain that love proceeds from truth; that truth and love are wedded; that it makes no sense to promote an amorphous Christian "love" without a clear adherence to Christian truth; to explain the difference between natural, human love and supernatural charity; to state that yes, in fact, being Christian does demand belief and a confession of faith. "Thus, the sublime and liberating message of love, as being the sole and sufficient content of Christianity, can also become something very demanding" (pg. 12). This statement is loaded with meaning and tells us much about Ratzinger's thought. Note the construction of the argument. Ratzinger says the content of Christianity is simply love. The liberal says, "That's easy. If all we need is love, why do we need your dogma? If religion is that simple, we don't need dogma and the confession of faith." Ratzinger's answer does not deny the fundamental liberal accusation that belief and confession of faith should not define a Christian; rather, he notes that a religion of loving others is "very demanding" and thus much more difficult than the liberal thinks. The liberal says, "You're implying an easy Christianity where doctrine sinks into the background at the expense of love." Ratzinger responds, "It's not as easy as you think." He does not explicitly deny the first assumption - that his theory implies a Christianity where doctrine sinks into the background at the expense of love. This is why he responds with the radical reaffirmation that love is the "sole and sufficient content of Christianity." He could hardly be more clear. "For what faith basically means is just that this shortfall that we all have in our love is made up by the surplus of Jesus Christ's love, acting on our behalf...faith means nothing other than admitting that we have this kind of shortfall; it means opening our hand and accepting the gift" (pg. 12). Notice that here faith does not mean giving assent of the mind and will to the truth revealed by God because He is God and cannot deceive; instead of assenting and clinging to the truth of God, it means admitting a personal deficiency in love. Now, certainly if we have humility, this is an important aspect of our religious profession; "all have sinned and fall short of the glory of God" (Rom. 3:23). But again, Ratzinger says not that this is an aspect of faith, but that "faith means nothing other" than admitting our personal deficiency and accepting God's free gift. Giving all possible benefit of the doubt to young Ratzinger, it must be admitted that if he really thought that faith is "nothing other" than admitting we don't measure up and accepting God's free gift, it sounds rather much like classical Lutheranism. A fuller treatment of faith from a classical Catholic perspective might have mentioned the act of assent that is integral to faith, since faith is fundamentally believing something on the authority of someone else. "Faith is the theological virtue by which we believe in God and believe all that he has said and revealed to us, and that Holy Church proposes for our belief, because he is truth itself" (CCC 1814). "Faith is thus that stage in love which really distinguishes it as love...It is only in "faith" like this that selfishness, the real opposite of love, comes to an end. To that extent, faith is already present in and with true loving; it simply represents that impulse in love which leads to its finding its true self" (ibid., 12-13). Faith is a "stage" of love; or, to put it in the Hegelian terms commonly employed by Ratzinger, faith is a moment in the history of love. This is not the only place Ratzinger speaks in such Hegelian terms; elsewhere, when writing on evolution, he says that matter "signifies a moment in the history of spirit." So faith is really nothing other than love at a particular stage; faith has been subsumed into love. This is very interesting, because decades later, in Spe Salvi, as Benedict XVI he will teach that hope is equivalent to faith (Spe Salvi, 2). So if hope is actually equivalent faith and faith is just a stage of love, then really love is all there is. Again, giving him the benefit of the doubt, this may just be a way of saying with St. Paul that love is the only permanently abiding supernatural virtue (1 Cor. 13:13) and the greatest thing a man can do. In the end, faith and hope terminate with our status as viators; only love abides. That would be perfectly fine. “Thus the God of the Bible is a God-in-relationship; and to that extent, in the essence of his identity, he is opposed to the self-enclosed God of philosophy” (Many Religions, One Covenant, 75). "In the Aristotelian table of categories, relation belongs to the group of accidents that point to substance and are dependent on it; in God, therefore, there are no accidents. Through the Christian doctrine of the Trinity, relation moves out of the substance-accident framework. Now God himself is described as a Trinitarian set of relations, as relation subsistens. When we say that man is the image of God, it means that he is a being designed for relationship; it means that, in and through all his relationships, he seeks that relation which is the ground of his existence. In this context, covenant would be the response to man’s imaging of God; it would show us who we are and who God is. And for God, since he is entirely relationship, covenant would not be something external in history, apart from his being, but the manifestation of his self, the “radiance of his countenance.” (ibid., 76-77). “The soul” is our term for that in us which offers a foothold for this relation [with the eternal]. Soul is nothing other than man’s capacity for relatedness with truth, with love eternal" (Eschatology, pg. 259). In other words, relationship replaces being as the fundamental concept regarding the human soul. This, in turn, allows us to conceive of the soul not in terms of the hard lines associated with the concepts of being, substance, and specific nature, but rather as an evolutionary, dynamic relationship, of which the soul is "nothing other." This shows how his emphasis on interpersonal love as the core of human nature fits in with his broader theology. I are not interested here in continued parsing of Ratzinger's words on God and the soul as relationship (I recommend this article by James Larson for more on that subject; this one is good, too); rather, the above is cited simply as evidence for the importance of "relationship" in his theology. This, in turn, explains his apparent inversion of the relation between love and truth. Love is interpersonal and implies relationship, and if relationship is to be the ground of existence for Ratzinger, then it makes more sense for truth to proceed from love rather than vice versa. If Ratzinger does in fact propose in an inversion of the traditional roles of truth and love, the results are not inconsequential. Essentially, it would mean that instead of allowing what is to be loved to be formed by faith, what is to believed will be formed by love. 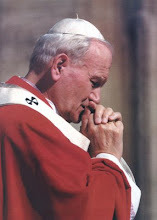 It would not mean eliminating dogmas and discipline; Ratzinger clearly does not believe there is a cleavage between love and truth; or as he said in his famous 1994 CDF letter on communion for the divorced and remarried, "understanding and genuine mercy are never separated from the truth." No, it does not mean love is sundered from the truth such that we abandon doctrine or discipline; but if there is an inversion, it means that doctrine and discipline will now ultimately be formed by our concept of love, rather than letting our understanding of love be formed by doctrine. The emphasis on love over truth reverses the directions of this movement. 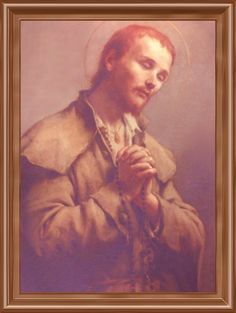 "True loving necessarily passes into the gesture of faith, and in that gesture lies a demand for the mystery of Christ, a reaching out toward it--and that mystery, when it unfolds, is a necessary development of that basic gesture; to reject it would be to reject both faith and love" (Credo for Today, 13). Love is a "development" that "unfolds" and "passes into the gesture of faith", this passage of which is a "necessary development." It is hard to pinpoint Ratzinger's exact meaning here; this is one reason why it is dangerous to write theology in terms other than those traditionally accepted. How is one to describe traditional Aristotelian-Thomist theological concepts explained in a Hegelian framework without opening broad chasms ripe for confusion? "And yet, conversely, however true this may be--and however much christological and ecclesiastical faith is for that reason absolutely necessary--at the same time, it remains true that everything we encounter in dogma is, ultimately, just interpretation: interpretation of the one truly sufficient and decisive fundamental reality of the love between God and men. And it remains true, consequently, that those people who are truly loving, who are as such also believers, may be called Christians" (ibid.,13). The implications are clear. If dogmas are mere interpretations, "gestures of faith" which "unfold" in the "necessary development" of love, their grounding in revealed truth is weakened. Instead of seeing love as proceeding from an apprehension of the truth, our truth will be determined by what we love - and with this relationship inverted, the possibility of having a right idea of what ought to be loved is compromised. The source of our morality is no longer our reason, as in the classical view, but in our will, because love is an act of the will. The Christian is no longer the believer but the one who loves. We thus slip into the tendency to define love, and hence truth, based on whatever we will. From this inversion it is only a short leap to the Kasperite doctrine and all its nefarious implications. Since our concept of love is always developing, always unfolding, we can find "moral value" in irregular relationships -after all, in the inverted order, relationship itself always retains a fundamental value. "Gifts and qualities" can be found in homosexual relationships; HIV infected homosexuals sodomizing each other with condoms on becomes a "direction of moralization". In short, the inversion lays truth at the service of an unattached and floating love that expands or contracts depending upon contemporary whims. Even Joseph Ratzinger, only a few years after his comments about love being the essential identity of the Christian, stated that adulterous second marriages could take on a "moral and ethical value" which would make it "fair" to give communion to such individuals. Such was the logical outcome of his thought. Does Joseph Ratzinger still affirm all these things? 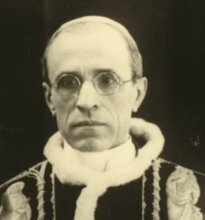 Lately he has made moves to distance himself from the Kasperite doctrine by deleting the above referenced passages on communion for divorced and remarried from a new edition of one of his works (see here), and there was certainly no evidence of this error during his time at the CDF or as pope. On the other hand, Ratzinger has always said that he has never changed his positions since his youth. It is hard to say; again, he writes his theology in a different sort of vocabulary that makes it difficult to ascertain his precise meaning. And what about us? What are we affirming? We are certainly not asserting so much a heresy or material error in Ratzinger; rather we are noting more of an inversion or imbalance in emphasis. We are certainly not trying to establish a historical pedigree from Kasper back to Ratzinger, much less that this inversion originates with Ratzinger; in various forms it can be traced back to Duns Scotus. It cannot be denied, however, that this imbalance in Ratzinger is related to and becomes a full-fledged heresy in Kasper, which in turn leads to all manner of wickedness. This is ironic, because Kasper and Ratzinger are known to have been on separate sides of the communion question. The irony is that Ratzinger's inversion is the necessary logical precursor to Kasper's heresy which Ratzinger now opposes. And once love is free to determine its own good without reference to truth, where will we eventually end up? Some time ago I randomly came across this video of a man in New York City who takes the concept of love simplex as the ground of existence to its logical conclusion. I'm not being facetious; we have all heard of CCD programs where "God is love" is the sole content of religious education from K-12. What you will see below very well could be the future of Catholic theology and homiletics if a a right relation between truth and love is not restored. Thank you for your patronage of this blog and website. May God richly bless you and yours. How should we understand the saying from St. John of the Cross in light of the distinctions you note? : "In the evening of life we will be judged by our love." St. John is steeped in the Catholic Tradition. He obviously doesn't mean love apart from truth. If I were to say to St. John, "Oh, so you mean I don't need to believe anything?" he would be appalled that his words should be taken that way. Benedict, on the other hand, goes out of his way to insist that his statements be understood with no equivocation or conditions. That the Christian is defined merely as one who loves and nothing else. It is important to understand, this post is not denying the importance of "love"; it is rather suggesting that a large problem in the modern approach to things is that love is made independent of truth - and pointing out that some of this sort of thing is found in Ratzinger's earlier writings. The starting point of salvation is not the confession of the sovereignty of Christ, but rather the imitation of Jesus’ works of mercy through which he brought about his kingdom. The one who accomplishes these works shows that he has welcomed Christ’s sovereignty, because he has opened his heart to God’s charity. In the twilight of life we will be judged on our love for, closeness to and tenderness towards our brothers and sisters. Upon this will depend our entry into, or exclusion from, the kingdom of God: our belonging to the one side or the other. Through his victory, Jesus has opened to us his kingdom. But it is for us to enter into it, beginning with our life now, by being close in concrete ways to our brothers and sisters who ask for bread, clothing, acceptance, solidarity. If we truly love them, we will be willing to share with them what is most precious to us, Jesus himself and his Gospel. Thank you for that. Can you help me understand this, that charity covers a multitude of sins? I sometimes see that posited as proof that "love" is above all. I wish I heard more voices like yours coming from the clergy.